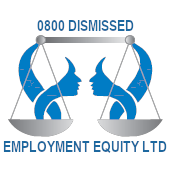 Constructive dismissal, also known as constructive termination, is a claim of wrongful termination. Constructive dismissal occurs when an employer finds ways to force an employee to resign by making their working condition unbearable, instead of firing them. This article will cover more about constructive dismissal, its causes and consequences. Constructive dismissal is a situation in which the employer commits a serious breach of contract, forcing the employee to resign in response to the employer’s actions. In most cases, an employee quits because the working conditions have become so intolerable that they can no longer stand to work for the employer. Although the employee voluntarily quits due to the circumstances, the employee was put in a position where they had no other choice. When it comes to the employee’s resignation, it is overlooked for legal purposes because the relationship was in effect terminated involuntarily by the employer’s behavior. In these situations, the resignation is treated as a firing. If the actions of the employer constitute unlawful behavior or a breach of employment contract, the employee may then have a claim for wrongful constructive dismissal. When it comes to a breach of contract, it may not be just one incident that causes it. Often, there is a pattern of behavior or incidents that, when taken as a whole, amount to a breach of employment contract. If the case involves a pattern of behaviors, the “final straw” for the employee that leads them to resign must be related back to the previous acts of misconduct. When all the acts add together, there is a strong case for wrongful constructive dismissal. Below are examples of breaches of contract that can entitle an employee to claim constructive dismissal. There are a wide range of contract breaches and they can vary from industry to industry. When an employer significantly reduces the salary of an employee, or threatens to do so. When an employee is demoted from their position for no apparent reason. Unfounded claims of poor employee performance. When an employer reports the employee to a supervisor without any foundation or without giving the employee an opportunity to respond. When disciplinary actions are taken and manifested unreasonably. When an employer makes a complete change in the nature of the employees job without warning. When an employer bullies or harasses an employee. When an employer fails to make the necessary adjustments to accommodate an employees disability. When an employer forces an employee to work under situations that breach health and safety laws. In order to successfully make a constructive dismissal claim against an employer, you need to prove that the employer fundamentally acted in a way that caused your position to be untenable and that there was a breach in your employment contract. In most cases, the behavior that amounts to a breach by an employer is obvious and there is a good case for the employee’s constructive dismissal claim. However, in some situations, there can be a lot of grey areas that will need to be dissected by professionals to determine if there is a strong enough case.